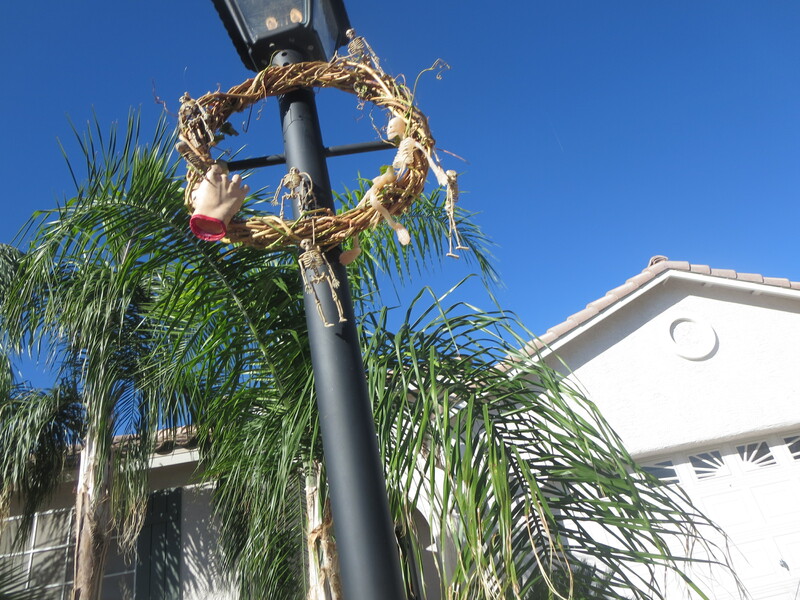 I am such a kid when it comes to Halloween. 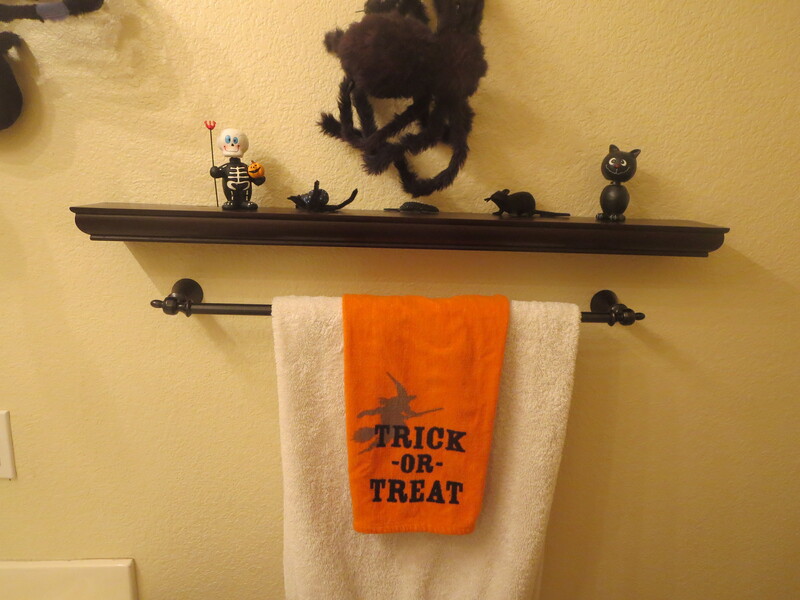 The decorations of slightly spooky touches are here and there and everywhere in our house. 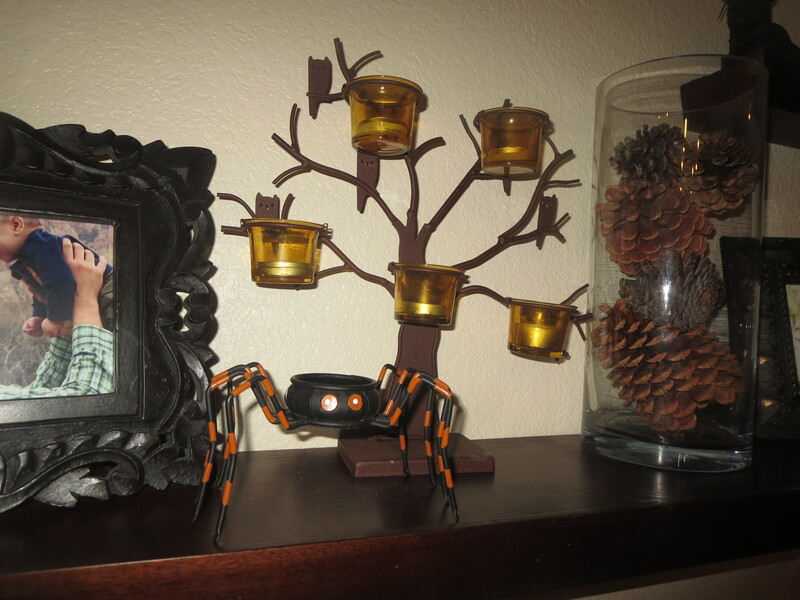 If my husband let me have my way, there would be cobwebs hung from every doorway, and orange and black everything. We’ve managed to keep a happy medium with bewitching classy yet sophisticated spookers. The other night, I single handly carved both pumpkins. Hubby had homework to finish, so we all set up shop together in the backyard to enjoy one another’s company while he edited and I carved. 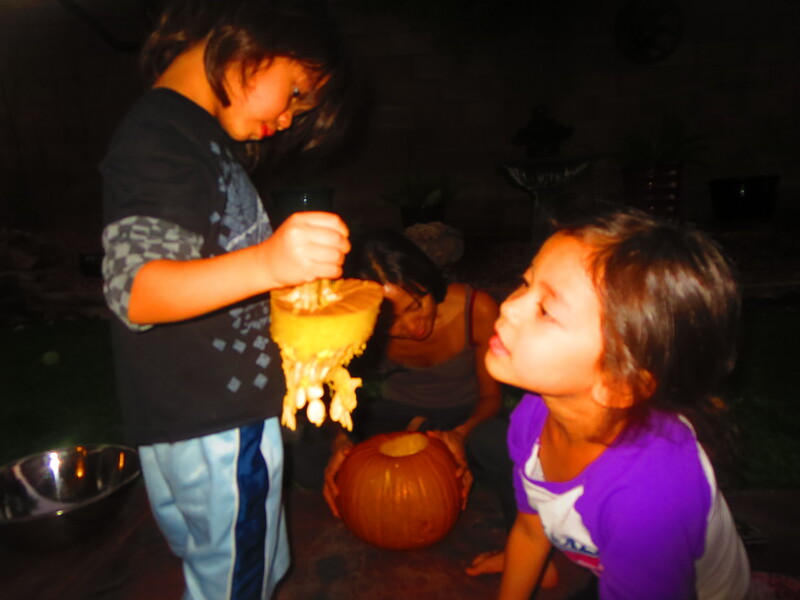 The kids were all about helping, until it was time to stick their hands in the pumpkin and pull out the guts. Not a bad job for my first solo pumpkin carving, especially since part of the first pumpkin was already rotting away. We’ll just call this one our aperra singing jack-o-lantern. And this one? 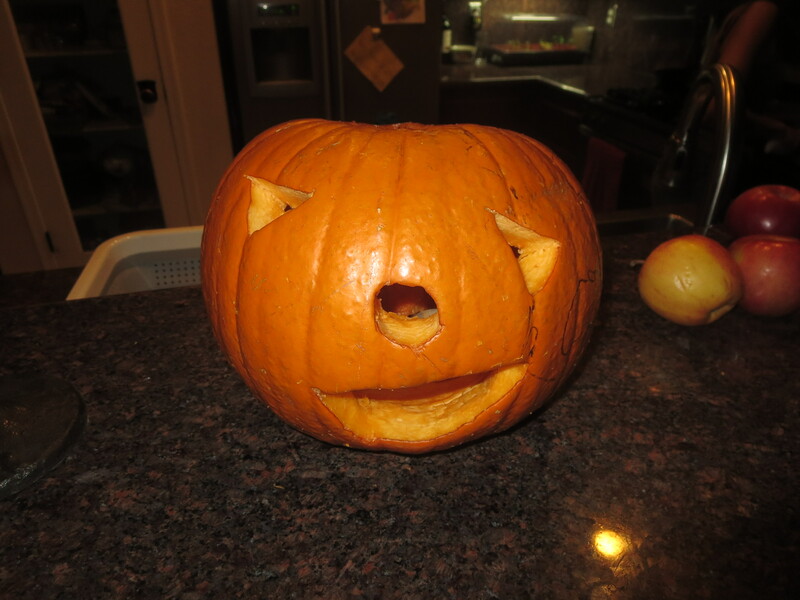 He’s our Jack-o-lantern with the lazy eye. What I’m most excited about his Halloween are our costumes. Last year we dressed up as the Super Rupps, with Supermom wearing a wine bottle opener on her sparkly purple utility belt that matched her sparkly purple cape. I’m bummed we don’t have a decent family photo of the Super Rupps. Hubby is Hazmat Control from the CDC. And I’m the Tooth Fairy. 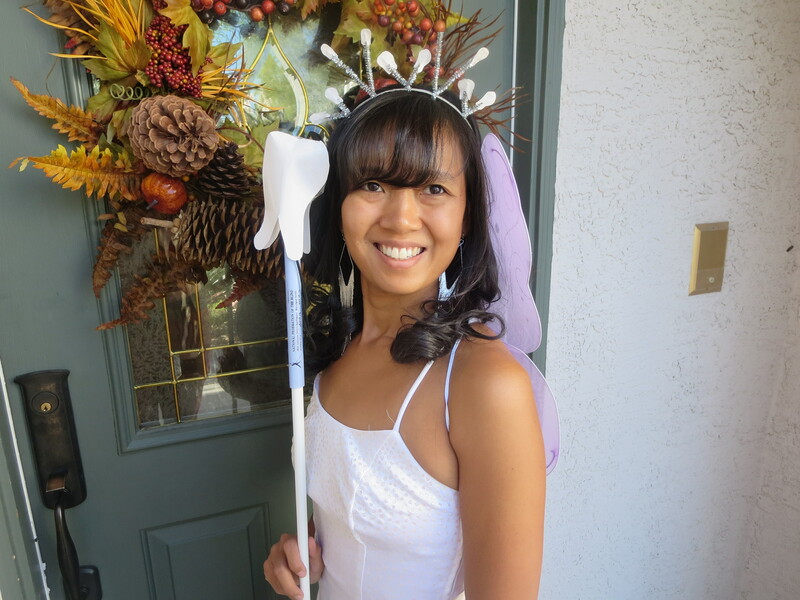 This is my first year EVER incorporating my cane as part of my costume. 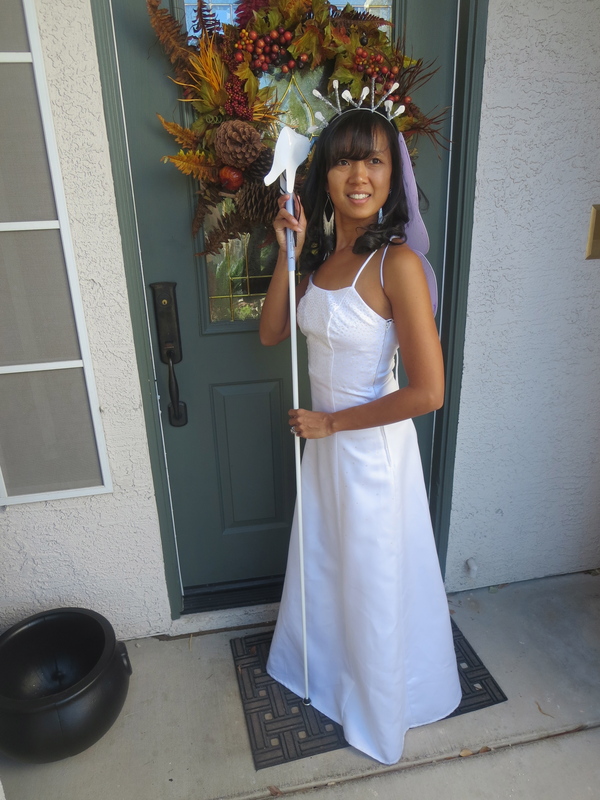 I miraculously fit into my high school senior prom dress, had the hubby cut out paper teeth for my toothy tiarra, and topped it all off with a giant construction paper tooth on my cane. After pressing publish on this blog, we’re rushing out to a park play date this afternoon with a little 2.5 year old boy who just received his first cane. Both his parents are also blind, and great role models for all kids both blind and sighted. I’m excited for Marley and Jackson to meet them. I’m positive this will just be our first play date of many. 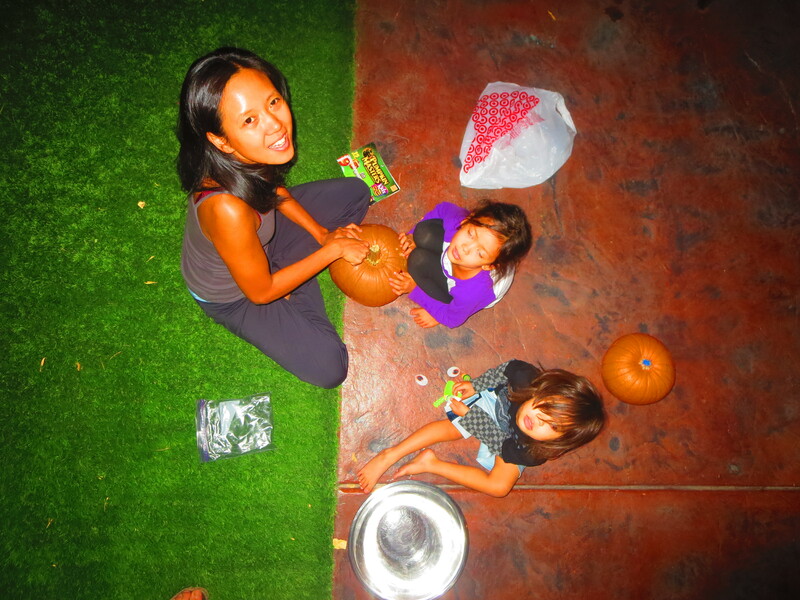 And lastly, we will be ending our day with chile, trick-or-treating in a neighborhood where the community actually still celebrates with hundreds of kids running around, and roasting marshmallows around the fire pit. Here’s to a safe and Happy Halloween to you and your little ghosts, goblins, and gools. 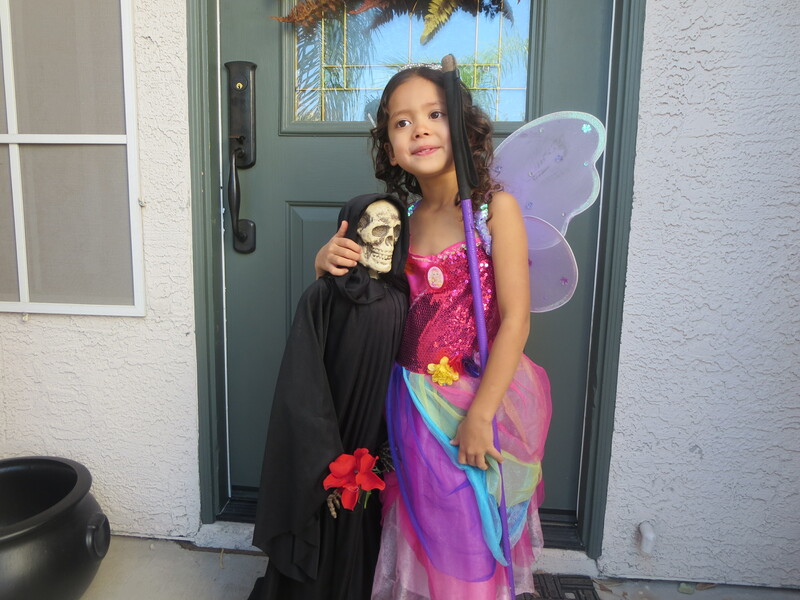 Posted on October 31, 2014 by MamaRupp	• This entry was posted in Uncategorized and tagged cane, costumes, Halloween, tooth fairy. Bookmark the permalink. I thought I was the only Halloween kid still around in their 30s! Each year I dressed as a penguin, and sit on the front stoop to hand out candy. Unfortunately though, my husband throughout the penguin suit this year and it’s 5 o’clock we don’t have a pumpkin and we don’t have candy yet! My little monkey, who is seven months old, is fast asleep. Anyway, how do you carve a pumpkin as a blind person? Carving a pumpkin was actually no where near as complicated as I thought it would be. It’s all tactile. Most sighted people draw the face on before cutting. I used the tiny tools that comes in a carving kit and played around until my jack-o-lantern was what I wanted it to be. Ha! I love your costumes! 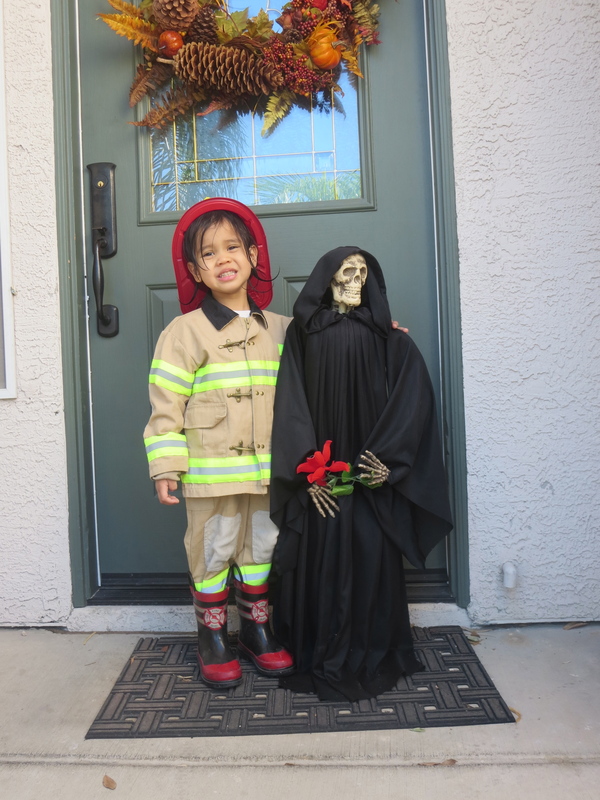 I think the firefighterman is my favorite. So adorable. 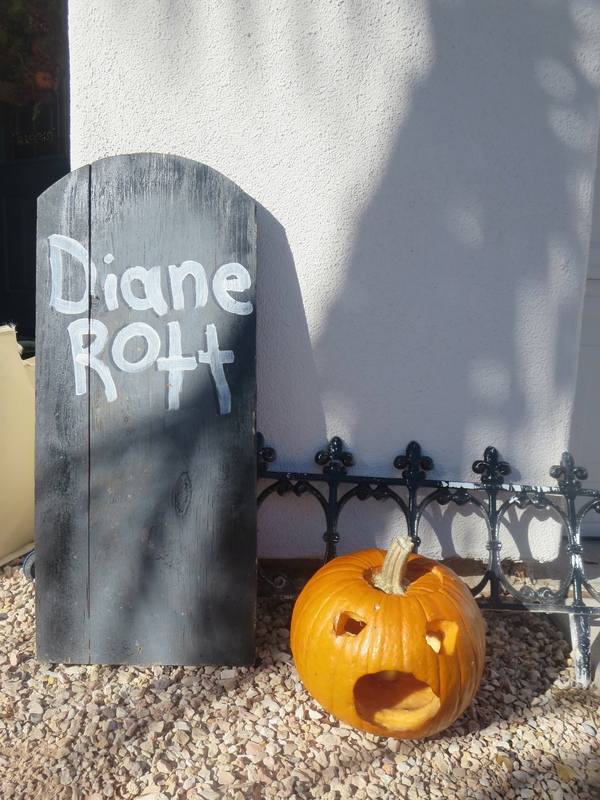 Sounds like a wonderful day chock full of Halloweeny fun! I lost the tooth from the top of my cane before trick-or-triating even started, but I love the pun on words that goes along with it. 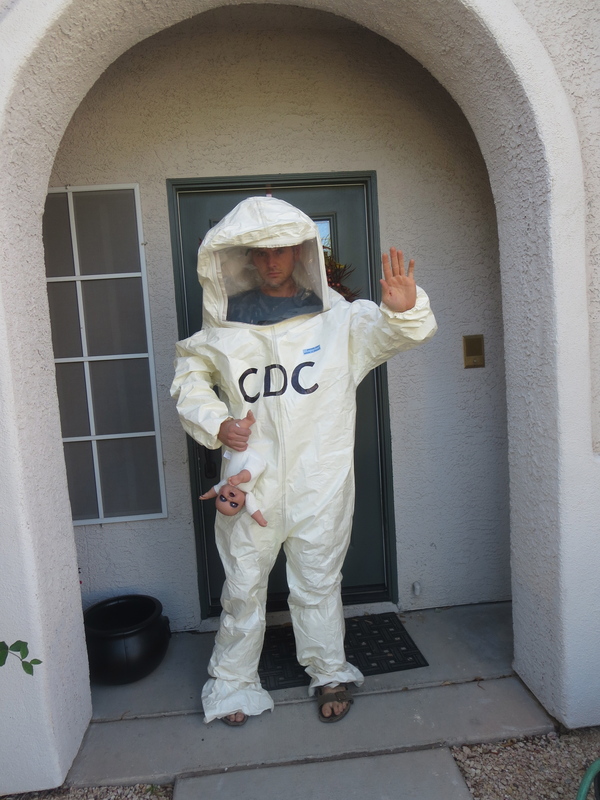 The CDC costume got rave reviews with people shouting to keep ebola away from their houses.